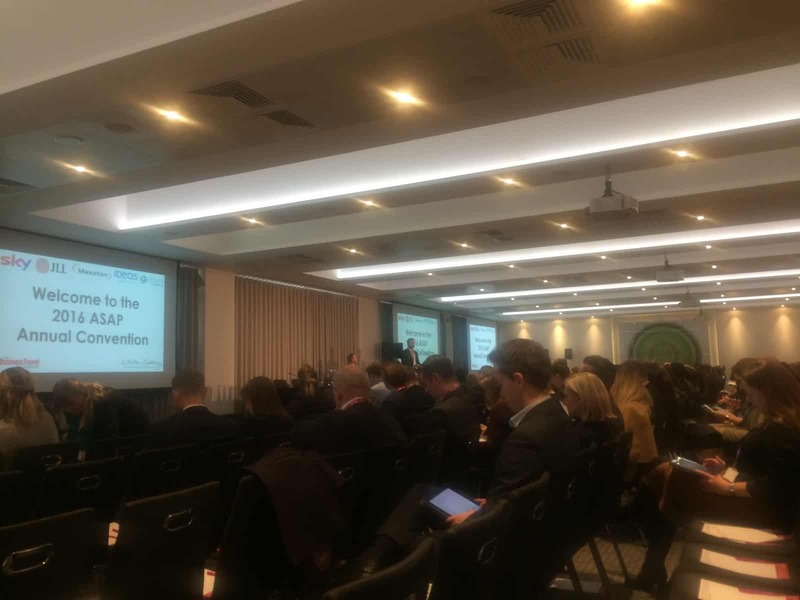 Today sees the annual ASAP Serviced Apartment Convention in London, taking place in Liverpool Street. 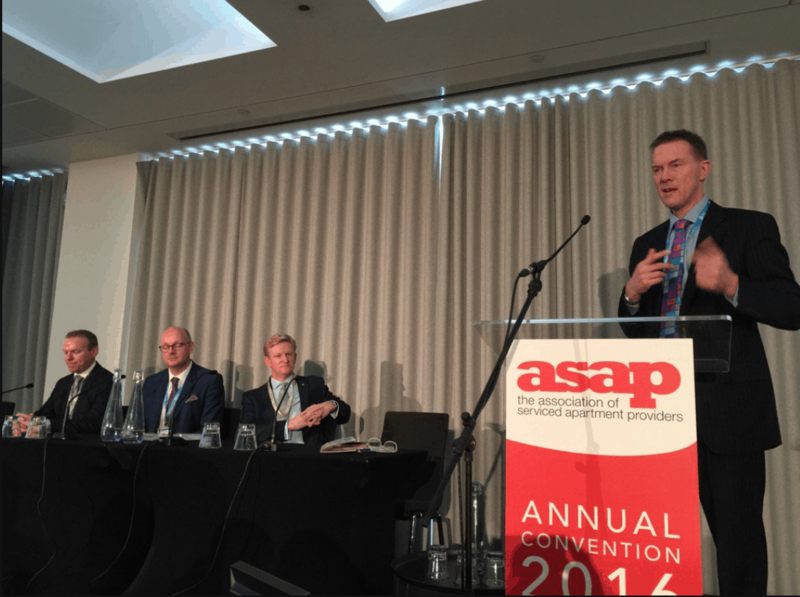 Over 300 delegates and exhibitors gather to discuss trends in the serviced apartment market. ASAP have over 170 members, who represent over 100,000 apartments in 13 countries which means this is the place to be for anyone connected to the industry. 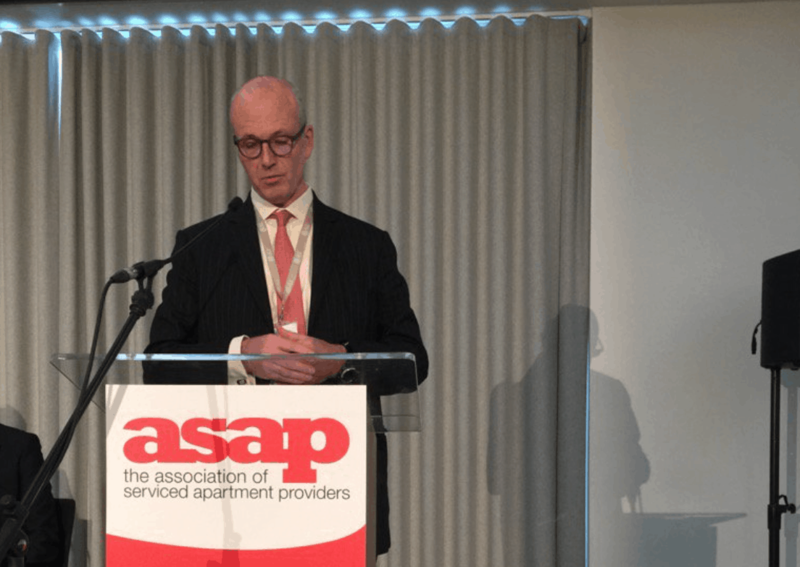 James Foice, Managing Director of ASAP, announced that ASAP have created the first international chapter in Holland and outlined the impressive impact the new ASAP website has had on the page views and unique visits. Next up was Richard Whittaker, Deputy Chairman of the ASAP who discussed where the association should go in the coming years. The key thing is to grow the profile of Serviced Apartments, help non-London based operators and continue global growth through affiliations with other associations. The accreditation programmes plays a key role in the growth and influence of ASAP. There are now ASAP accredited serviced apartments in over 130 cities globally. Chris Brown was next up on stage from Hotel Analyst for The State of the Nation. He was joined by Bridge Street, Lateral City and Urban Stay on the panel. The Big Global issues were listed as 1) the merger of Marriott and Starwood 2) Rising Chinese interest 3) Rise of Airbnb 4) Accor progress 5) Book direct vs OTT operators. Bridge Street outlined their progressive vision of working with One Fine Stay and Airbnb and embracing the changes to the industry. Urban Stay noted that Airbnb is a good thing as is a distribution channel and clearly individual landlords will never have the same quality product as serviced apartment providers. The panel highlighted the issue with loyalty programmes for improving customer retention is that users of these are mainly US based. Chinese visitors are becoming one of the biggest groups so the loyalty schemes maybe not as effective. James Swift – gave an overview of the state of London market in Serviced Apartment. It has been a challenging year overall but opportunities in 2017. Edinburgh, in contrast have had a very good year but highlighted the problem in Aberdeen in this sector which has been decimated by the oil industry issues. Bridge Street very optimistic for the future of the industry as the quality of product in serviced apartments is so good.